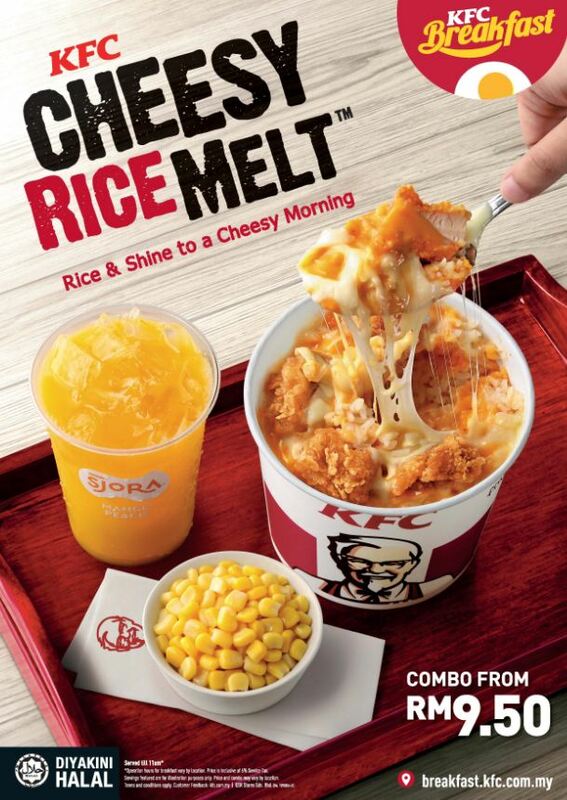 Catch the sun-rice with the NEW KFC Cheesy Rice Melt. 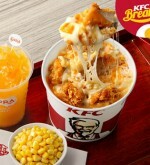 Enjoy Nacho Cheese Sauce, Mozzarella Cheese, Zinger Chunks and Colonel Rice in a bowl! Combo starts from RM9.50. Available only at KFC Breakfast outlets till 11am.